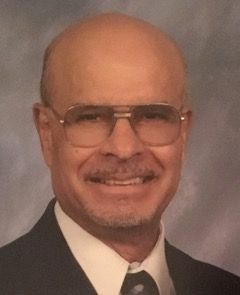 Alfred E Cordeiro, 85, of Cranford NJ passed away in his home on Tuesday, March 19, 2019 surrounded by his family. Alfie, as he was fondly called, retired as District Sales Manager with Air India in 1998. Unwilling to relax, he chose a second career as a tax preparer with H&R Block where he worked until 2012. Alfie was the beloved husband of Cecilia (D'Cruz) Cordeiro, devoted father of Karen McKenna (Daniel) and Dr. Jason Cordeiro, and cherished grandfather of Brooke, Rachel, Caleigh, and Sarah McKenna. He was predeceased by his parents Rita and Benedict Cordeiro and sisters Mabel Cordeiro and Margaret Mendonca. Surviving siblings are Frederick (Anne), Sanatana (Alba) and Blanche Cordeiro.